Redesigned with external dual 60mm solar etalon filters and an upgraded 2-speed 2" rack-and-pinion focuser, Coronado's SolarMax III 70mm f/5.7 Double-Stacked H-alpha Solar Telescope builds on the success of their earlier iterations to provide users with a compact yet capable solar viewing optic. 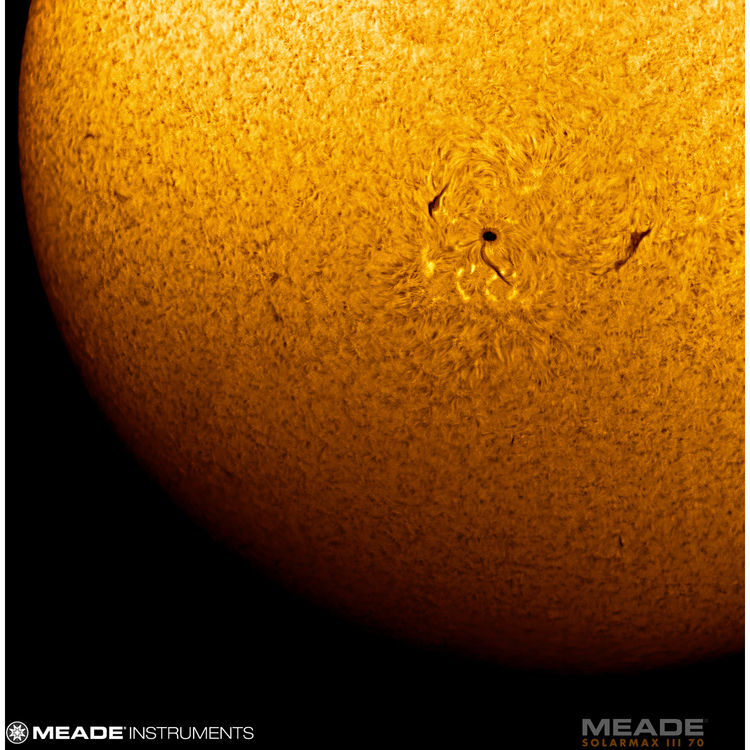 With the primary etalons now positioned externally, users can simply and easily remove the front solar and rear blocking filters to convert the SolarMax III into a competent nighttime viewing telescope - greatly increasing the scope's versatility. 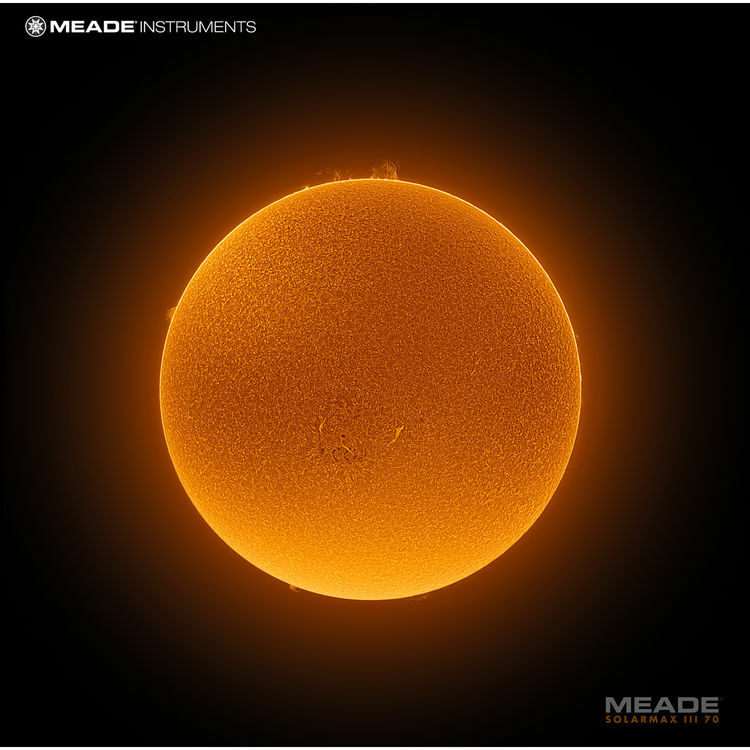 Specifically calibrated to isolate the hydrogen-alpha wavelength with a less than 0.5Å bandpass, the SM3's two etalons reduce the bandpass to refine the observation experience to see prominences in high-contrast against the black backdrop of space while revealing surface granulation and texture that broader bandpasses are unable to resolve. Each etalon has an independent tuning system that gives users the ability to precisely and easily bring them on-band to improve contrast and enhance views when atmospheric interference or Doppler-shift cause the optical system to come off-band. The primary etalon comes equipped with Coronado's rotating RichView tuning system, while the T-max tilt-tuner is employed on the secondary etalon. These two tuning methods ensure that interference between the two light paths is minimized, to further improve views. 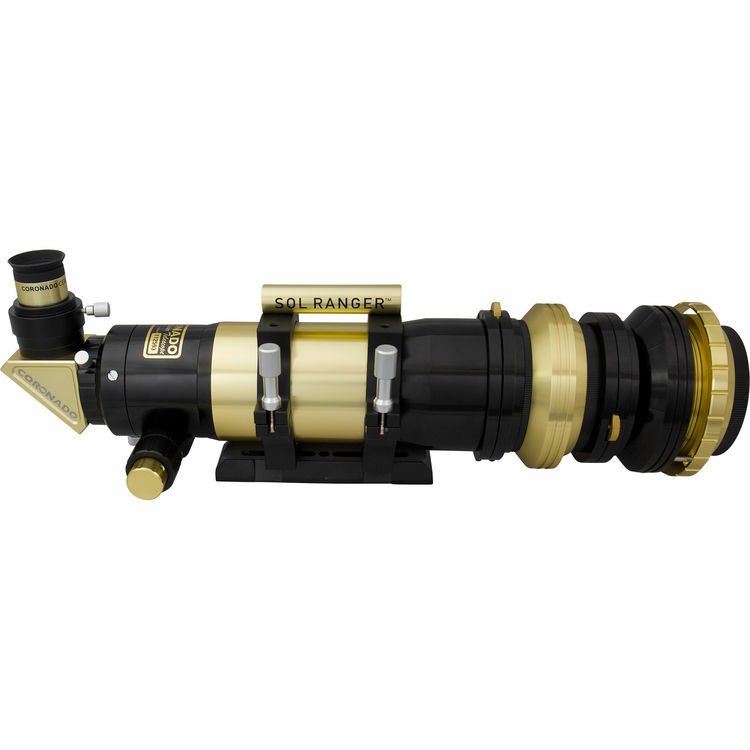 The SolarMax III gets an updated focusing system, versus the earlier iteration, with a 2" 10:1 dual-speed rack-and-pinion system from the previous 1.25" helical one. 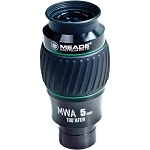 When used as a conventional scope, larger 2" conventional eyepieces and accessories can be used, or the more common 1.25" size with the addition of the included 1.25" reducer adapter. 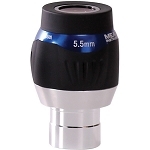 The more precise focuser is complemented by a rear 90° 15mm blocking filter to provide a wider field of view and allows for full-disk viewing even with higher magnification eyepieces. This secondary blocking filter is used to further isolate the H-alpha wavelength for improved contrast on surface granulation, and prominence detail. A larger blocking filter also enables the use of eyepieces with greater field-stop diameters to be used without vignetting occurring, as might occur with smaller-aperture blocking filters. 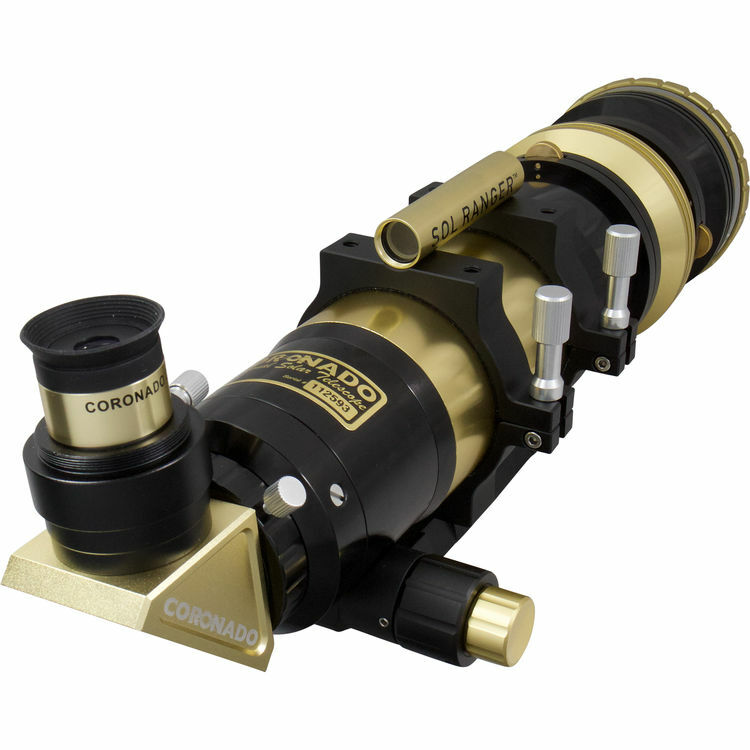 To get users started, Coronado includes a 2"-to-1.25" reducer adapter and an 18mm 1.25" CEMAX eyepiece that produces a 22x power. The eyepiece holder and blocking filter will accept any 2" solar eyepiece or accessory, and with the reducer adapter any 1.25" eyepiece can also be used — further increasing the scope's versatility. The optical tube assembly is offered here without a mount or tripod, but comes with a Vixen-style dovetail plate for users who already have a reliable and stable mount and support system. To protect the OTA and accessories during transport and storage, Coronado includes a hard carrying case with custom-cut foam lining, that is color-matched to the OTA in their elegant Black and Gold color scheme. Box Dimensions (LxWxH) 31.0 x 13.7 x 13.1"